It doesn’t really matter how long you have been in the teaching job. You need to always look forward to doing something good and fruitful for your students. And I feel really happy that that I have tried to do it since the beginning of my career as a teacher. Now days whenever I visit a school, I try to re-establish the way of rewarding the teacher-student relationship. Even I suggest that you do the same. Repeat the rules and schedule again and again. Once a student feels comfortable with the school day, you can more easily introduce flexibility and change. Help kids find some solitude and space when they appear to be overwhelmed. 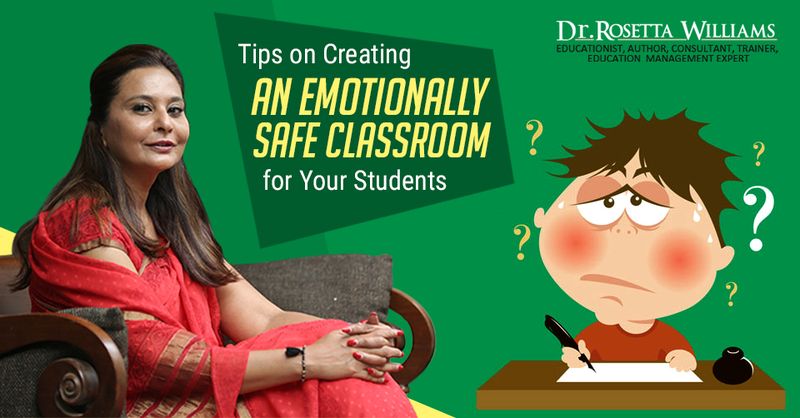 It is crucial that you as a teacher keep your mood swings while being in a class in control. Solitude permits the brain for catching up and processing the new encounters of the day. This causes a better combination of better learning and new encounter. Encourage the children on the class with heavy praise at all occasions. This will boost their morale and at the same time will encourage the children to do well. Kids can’t learn when they are tired or hungry. It is our responsibility as a teacher to let the parents know that their kids require some decompression time at home after school. The first experiences with school help reinforce a kid’s love and curiosity of learning. So, you need to create the social and emotional environment of safety which makes your classroom a place for ultimate learning. Hope you have understood the aforementioned tips. If you are a teacher and need a teacher training expert, you can contact me anytime by visiting my official website.